Almost the entire Harkness Collection is available Pot Grown. We pot our Roses in Autumn and Spring. 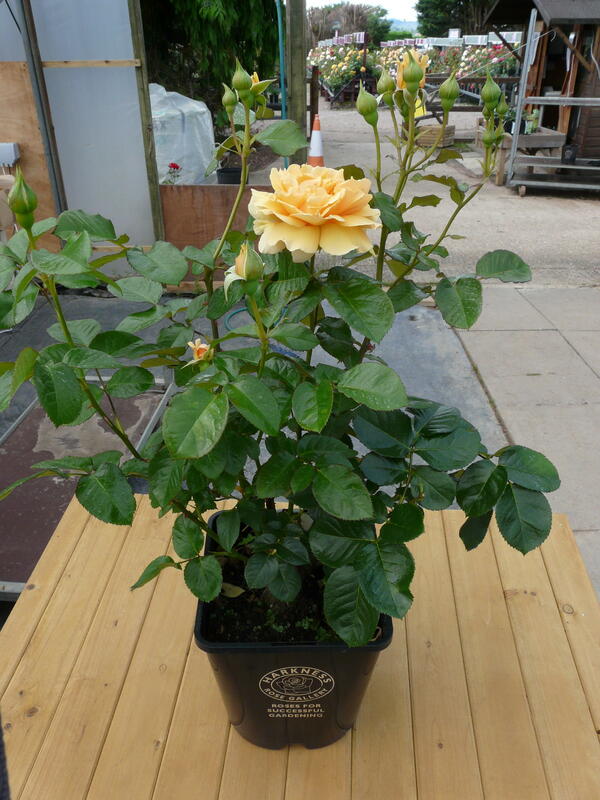 Orders for Pot Grown Roses can be despatched at any time of year (subject to stock availability). When you order Pot Grown Roses from October to March they will be recently potted, so the root ball will not be fully established early in the season. 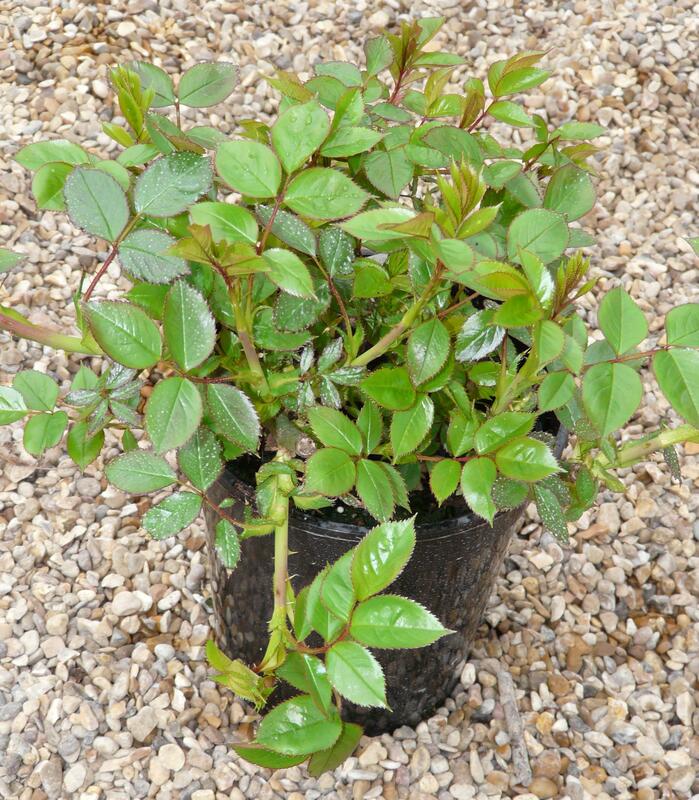 Pot Grown Roses will be in leaf from April onwards, and in bud and flower during the flowering season. After the first flowering we dead head the plants and they will return into flower later in the season. The pictures below show (from left to right) an early season (Late April) Pot Grown Rose, a Pot Grown Rose in the packing process and a mid Summer Pot Grown Rose in bud and flower. Our Pot Grown Roses are grown in a 4.5 litre pot with a top quality compost with a slow release fertilizer to feed the plant in the first season. We despatch the Pot Grown Roses with an overnight courrier, our obective is to cut down the transit time to a minimum. The plants don't want to be shut in a dark box for too long. We despatch Pot Grown Roses on Mondays to Thursdays for delivery to customers on Tuesdays to Fridays.